Carnauba infused car shampoo for deep cleaning and extra protection. 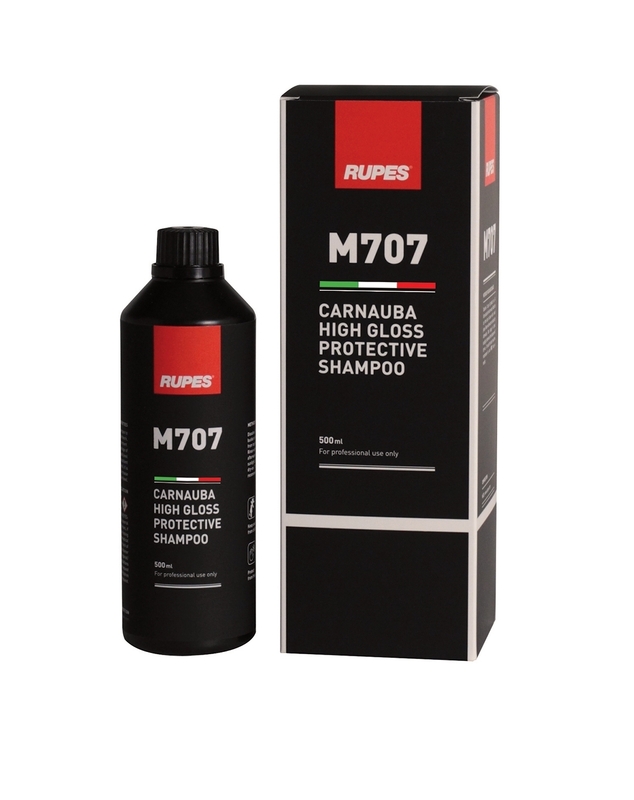 M707 is a top quality shampoo which will clean you veihicle removing all dirt with safety while it will add some extra gloss and protection containing carnauba wax. Rupes M707 ontains an high percentage of genuine carnauba wax, that aids in surface lubrication and provides protection.